By now, we have all complained. We all have had our fair share of fits over the appalling state of the city and stung by the unjust circumstance – having to live and breathe in these conditions, cursed from behind cheap masks and those of exorbitant rates. So with that done, what next? Surely, as citizens, that isn’t the limits of our capacity? It’s a thought Kumar Krishna Ranjit, a hardware store owner on Chabahil chowk, says hit him hard as he attempted to dust his store for the umpteenth time in a single hour. This was a little more than two weeks ago. He has even designed a makeshift plastic curtain, the size of the shutters of his shop, to shield his goods from the pollution on the streets but, clearly, to no avail. He recalls the moment as almost having a mental breakdown. “Having to come to work every single day to such conditions and not seeing any steps being taken to improve the situation was depressing, infuriating, and frustrating,” says Ranjit. He, along with some of the fellow shopkeepers, had even reached out to their ward office. However, the most they got from the officers there was a letter of their complaints addressed to the Melamchi projects. That was as far as it got, so a little more than two weeks ago, Ranjit and his other fellow shopkeepers decided to take matters on their own hands. 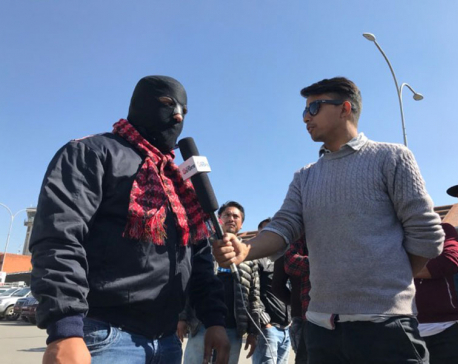 They gathered five of Melamchi’s pipes that had been lying on the sides of Chabahil’s main streets and blocked the roads in their part of town. They then appealed to the traffic officers and, later, the DSP to arrange a meeting with the contractor overseeing the KUKL project of the area. Following the talks, Ranjit shares that a water tanker has been regularly sent to hose down the roads multiple times a day now. But the strange thing is, one has to walk just one meter from Ranjit’s hardware store to the Chabahil chowk roundabout and look at the roads, on the right that leads to Boudha or down to Gopi Krishna, and those still depict scenes of a mini dust storm. The water tanker sent by the authority doesn’t hose down those parts of Chabahil’s roads. When asked why, Ranjit shrugs. “Perhaps it’s because people from those lanes didn’t directly sit down with the contractors. Who knows?” he says. Those said people from the particular lanes like Dipendra Thapa who runs a pharmacy also remain equally clueless. Thapa and other shopkeepers around him didn’t even know that the KUKL project representatives were sending water tankers to the other side. In fact, for the last two months, Thapa shares that together some of the shops and stores around have been contributing Rs 500 each every month to hire a water tanker and spray the roads twice every day. He seemed amazed that the people on the other side of the lane had managed to get official help. They reportedly have not heard of any such offers and the roads are only about a meter apart from each other. The KUKL Melamchi pipeline operation has been unsystematic and chaotic. Curious by their inefficiency, back in February, three Right to Information Act (RTI) activists had approached the court to demand Project Implementation Directorate of the KUKL, details of the contractors assigned to lay the pipes of the projects as well as the contracts with the government. Jagannath Lamichhane was one of them and he explains, “The idea was to create some pressure.” After hustling around for more than two months, they successfully filed their case and eventually, a couple of weeks later managed to get their hands on the contract details of the project operation. Lamichhane shares that they discovered several political loopholes as well as problems on a political level. But for immediate improvement and action, they thought a factor like negligence on the Project Implementation Directorate’s part to regulate the contractors working the roads to efficiently carry out the work was specially worth highlighting in the press. “Among other things, we found that the contracts clearly stated the need to implement pollution minimization tactics. There was a separate budget for it. The project also had the right to fine or fire contractors who weren’t working properly,” says Lamichhane. By exposing the negligence, they wanted the construction process to be carried out more responsibly. Further, considering that, these days, people from the three main municipality cities genuinely dread leaving their houses and some don’t even find respite from the dust in their homes, Lamichhane admits he assumed people would come out on the street in hordes. Over at his Anamnagar office, Forum Chairman Advocate, Padam Bahadur Shrestha continues to pursue the legal route. Nearly three months ago, based on his petition, on behalf of the Environment Development and Conservation Law Forum, the Supreme Court had issued an interim order to concerned authorities to adopt smoke and dust minimization methods while carrying out the construction work. 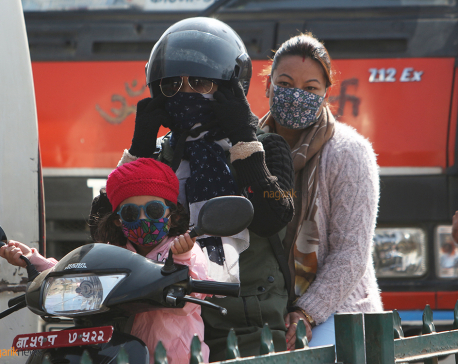 As he has been voicing it, in between the never ending paper works, the air pollution has spiraled to such extent that he considers it a violation of Nepalis’ constitutional rights. 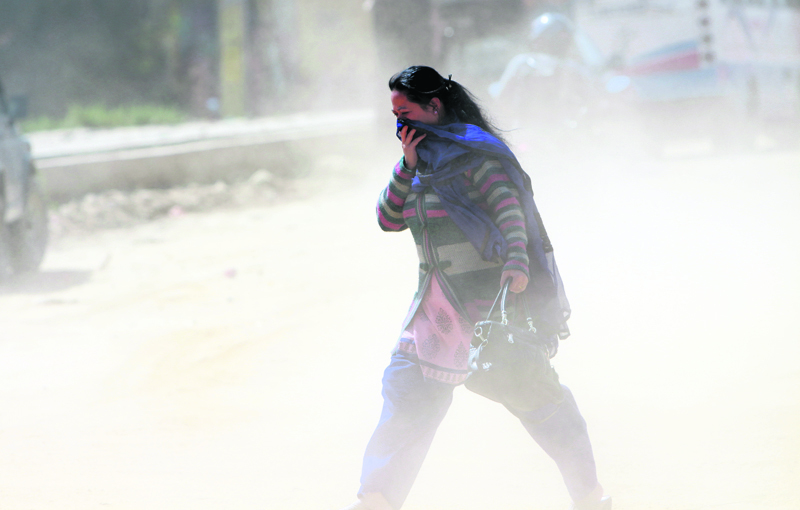 In fact, the immense health risks posed by the current environmental degradation recently became all too real for Shrestha. While waiting for the 18 official bodies including the three major Municipal councils to submit their respective reformed detailed reports on how they plan to now go about the pipe laying project, Shrestha has apparently been put on a month long medication. According to him, his doctors suspect air pollution to be one of the major contributing factors of his health ailment. Shrestha calls it a coincidence but he decided to talk about it because it really underscores the vulnerable status of each individual living in the city. But then again, just three months ago, he also remembers how nobody, neither the government nor the public, was actually talking about the issue. “I think it has become a fundamental problem of our society. When did we become so cynical?” questions Shrestha. In case the bodies involved in the Melamchi project continue to ignore orders and the desired results are not seen on the roads, it seems Shrestha has also already mentally prepared himself to take the next step – file another case under contempt of court. However, the Prime Minister’s recent backing of the Supreme Court’s order issued to the 18 official bodies to submit their respective reformed detailed reports earlier this week has given him hope. Shrestha considers it a positive development. Though if we were to listen to the spokesperson of the Project Implementation Directorate of the KUKL, Lila Prasad Dhakal, there won’t be much to worry about for too long. He assures that the concerns have been taken into account and that they are working on wrapping up the pipe-laying as quickly as possible. Dhakal still stands by their claim that they are doing the best they can to implement pollution prevention measures. 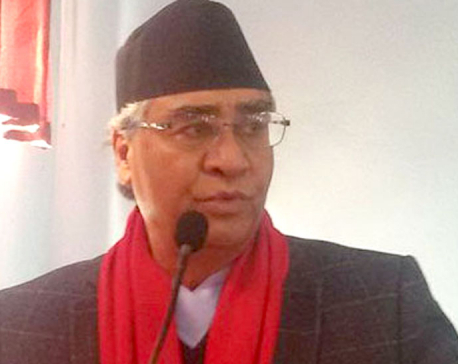 When asked whether the KUKL will be monitoring the reconstruction of the roads that they have left behind in complete disarray, Dhakal says, “That will be handled by the Department of Roads. We don’t have to concern ourselves with that.” Thus continues the circle of negligence and shunning responsibilities and Shrestha believes it will go on till the public realizes the importance of collectively raising our voices. Who was the masked man landing at TIA by Indian aircraft?